Today we're showing you how to capture the classic Adidas stylings of O'Shea Jackson Jr. and Shameik Moore in our December 2015 issue. By Megan Gustashaw for GQ. Every day of every month at GQ, we start your morning on Instagram with visual advice on What to Wear Today. But we want to go deeper. Give you the nuts and bolts of how to get the look into your wardrobe. Today we're showing you how to capture the classic Adidas stylings of O'Shea Jackson Jr. and Shameik Moore in our December 2015 issue. There's no question that Adidas is doing very good, very stylish things right now, but we'll always have a soft spot for the brand's twentieth-century classics (now encapsulated in the Adidas Originals line). Leaving oversize wind pants and massaging pool slides in the past, here's what we think is still worth owning from the brand's archives. Luckily, everything is just as affordable as it has always been, which means you can pick up all five items here for under $300. That's way less than a pair of Yeezys on eBay. Just saying. The shell-toe first hit the scene in 1969, but it's still incredibly popular today. In fact, it was Adidas's most profitable shoe of 2015. The brand started making them in every color under the sun last year, but, as with most things, we're partial to the original black-and-white rendition. 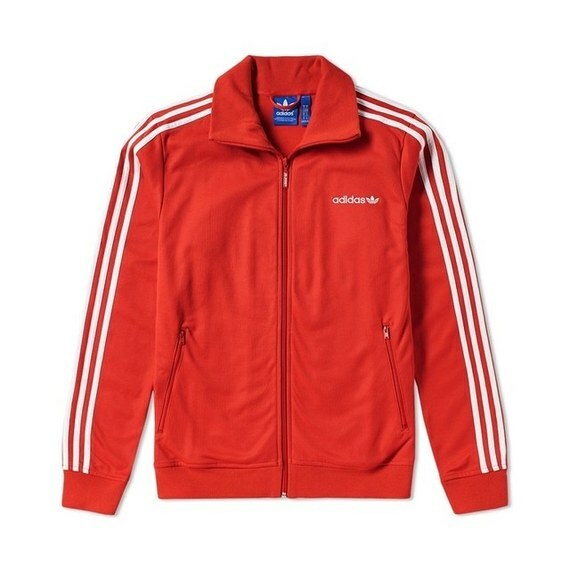 We've said it before and we'll say it again: A track jacket belongs in your wardrobe this spring. It's the Jedi-level layering piece you need, whether you're heading to the gym or to dinner with friends. 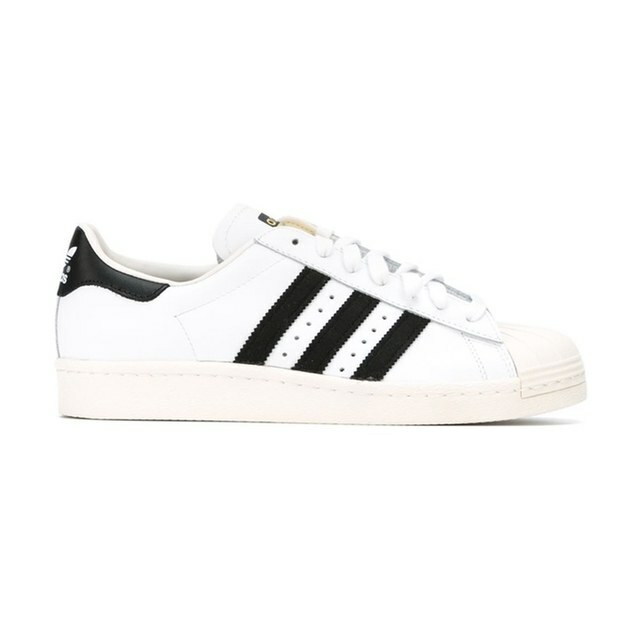 Adidas's version from the 1970s is slim and retro in all the right ways. 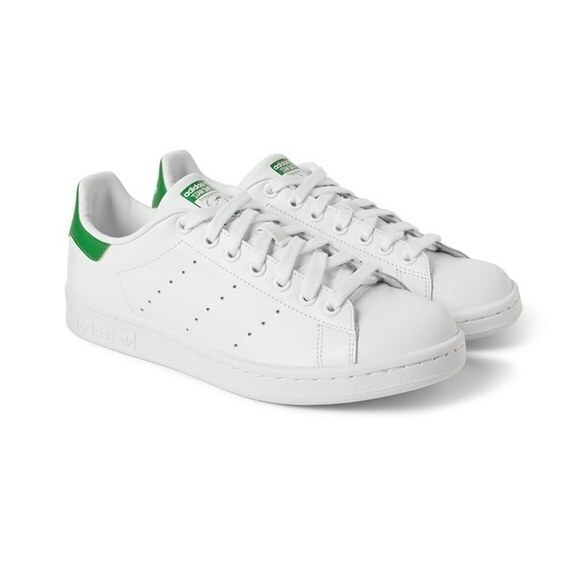 The Stan Smith is possibly the most riffed-on sneaker on the planet right now--not that we're necessarily complaining. From Saint Laurent and Isabel Marant to Visvim, the sneaker has seen some great incarnations recently. Still, if it ain't broke (and it ain't expensive), why fix it? 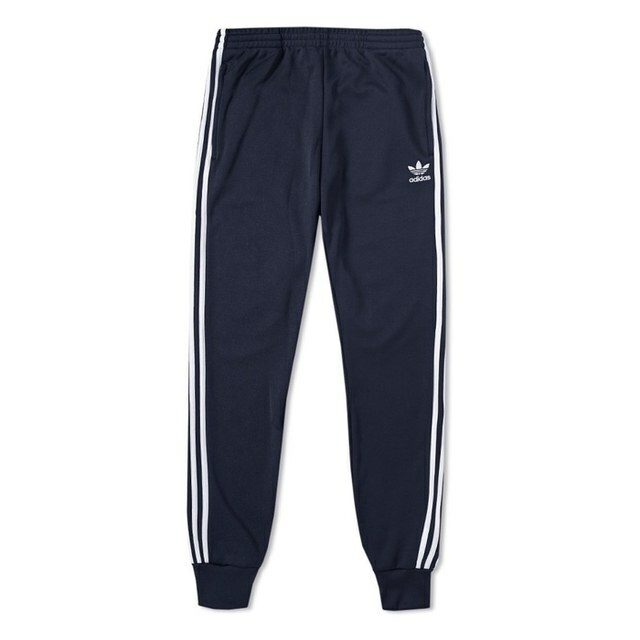 We're not saying you have to don a full-on tracksuit, but you should probably own a pair of three-stripe pants. Treat them just like a pair of jeans and wear them slim with hoodies, leather jackets, and T-shirts every Sunday from now until eternity. For more on pulling them off, see here. 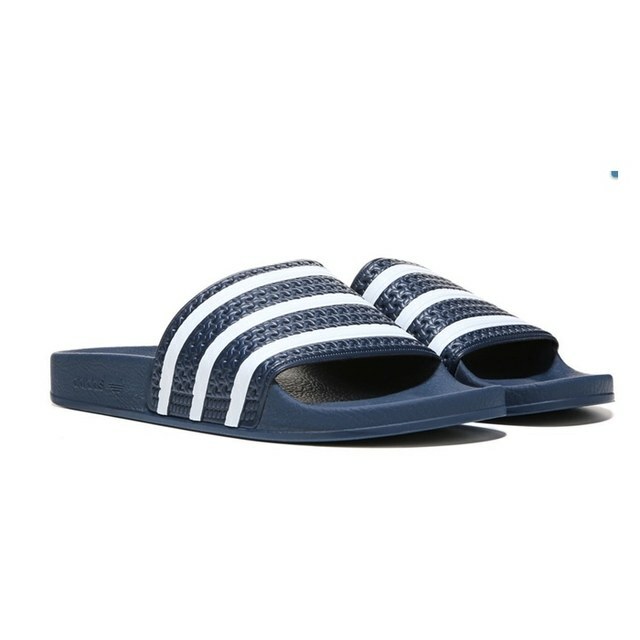 Not to be confused with the massaging Adissage slides, these simple sandals, which debuted in 1972, are about as chill and classic as it gets. Just make sure your feet are in decent shape before you wear them--there are some things even looks-good-on-everyone wardrobe icons can't fix.